multiple Principal Investigators: Amanda E. Staiano, Ph.D. and E. Kip Webster, Ph.D.
Co-Investigators: Robert Newton Jr., Ph.D., Robbie Beyl, Ph.D.
Summary: To adapt and test a behavioral intervention delivered on a smartphone application (“app”) to parents of preschoolers, with the goal of using videos and instructional content to teach fundamental motor skill proficiency to their preschool-aged children. The overall goal is to examine if using an app to help parents develop their children’s fundamental motor skills is an acceptable and feasible approach to improve children’s motor skills. As exploratory outcomes, we will also examine if the children improve their confidence, physical activity levels, and self-regulation skills, which will contribute to the children’s physical health and academic readiness. The PLAY app is under development. Usability testing will occur in spring 2019 and the active trial will open in summer 2019. Dual Principal Investigators: Denise Wilfley, Ph.D., and Stephen Cook, M.D. Site Principal Investigator: Amanda Staiano, Ph.D.
Summary: To conduct a randomized comparative effectiveness trial to test the effectiveness of a 12-month, family-centered, scalable obesity treatment program delivered in primary care to underserved populations. TEAM UP is currently enrolling primary care clinics in Louisiana, Missouri, and New York to participate. We expect to begin enrollment in July 2019. Principal Investigator: Amanda E. Staiano, Ph.D.
Medical Investigator: Daniel Hsia, M.D. Summary: TIGER Kids enrolled 342 boys and girls ages 10 to 16 years from every weight category (normal weight, overweight, and obese). Researchers at Pennington Biomedical are using state-of-the-art technology, including activity trackers and global positioning system (GPS) information, to track physical activity, imaging to measure body fat, and messages sent through a mobile phone app (called ecological momentary assessment) to identify what motivates or prevents kids from being physically active. Participants attended an orientation session at Pennington Biomedical to learn about the study, sign consent and receive their activity tracking tools. These tools were returned at clinic visit approximately 1 week later. Assessments include body measurements, blood pressure, surveys, blood draw, dietary recall and body composition. Participants will repeat the activity monitor tracking and a second clinic visit 2 years later. Recruitment is closed for this study and longitudinal data collection is underway. Investigators: Maura Kepper, Ph.D. (Lead Investigator), Amanda Staiano, Ph.D., Stephanie Broyles, Ph.D., Elizabeth ("Kip") Webster, Ph.D.
Summary: Preschool is a critical period during which children develop fundamental motor skills, build confidence in their movement, and start a physical activity trajectory that follows through adolescence and beyond. Unfortunately, few sustainable interventions have succeeded in increasing preschool children’s physical activity, and subsequently children are developing obesity at alarming rates. A simple, low-cost strategy is the addition of colorful markings (i.e. hopscotch, foursquare, fun trails) to existing playgrounds or open spaces. These “painted playgrounds” have been shown to be effective to increase physical activity in older school-aged children but remain understudied in preschool children. 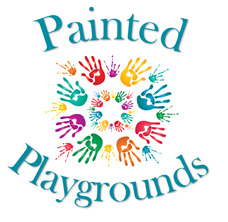 The proposed project will implement and test the effectiveness of a scalable playground stenciling intervention to increase physical activity and fundamental motor skills and decrease sedentary behaviors among preschool aged children attending childcare centers. Four childcare centers are participating in this study in spring 2019. Co-Investigators: Daniel Hsia, M.D., Peter Katzmarzyk, Ph.D., Robert Newton, Ph.D., Patrice Tyson, M.D., Savarra Mantzor, M.D. Summary: The project aims to evaluate and adapt a 10-week pediatric obesity program delivered in a primary care provider clinical setting to increase the efficacy of achieving clinically significant weight loss in overweight and obese children. Main study outcomes are change in weight and body mass index (BMI) z-score. Secondary outcome variables include improvements in pedometer-assessed physical activity, quality of life, and physical activity enjoyment. To find out more about this program, sign up for an appointment with Dr. Tyson’s Obesity Clinic at Our Lady of the Lake Children’s Hospital: 225-765-6834. Co-Investigator: Kathryn Lynn McKey, M.S. Summary: The objective of this study is to evaluate the effects of a one week healthy lifestyle summer camp on children’s weight, self-reported health behaviors, quality of life, mood and feelings, self-esteem, weight management efficacy, enjoyment of physical activity, and body image, among children who are at risk for obesity and type 2 diabetes. Staiano AE, Dominique N, McKey K, Hebert C, Hendrick C, Hsia DS, Davis K, Martin M, Woolley R, Mueller K. Healthy lifestyle summer camp for children at risk for type 2 diabetes: Reductions in weight and screen-time usage. Poster to be presented at the Society of Behavioral Medicine, Washington, DC, March, 2019. Co-Investigators: Robert Newton Jr., Ph.D.
Summary: The goal of this randomized controlled trial is to test the efficacy of exergaming, i.e. video gaming that involves physical activity, to reduce adiposity in overweight and obese children. The study is a 6-month, 2-arm randomized controlled trial among 46 overweight/obese children (aged 10 to 12 years) assigned to: 1) 3 hours/week of in-home exergaming or 2) a control group. An innovative aspect is the inclusion of a fitness trainer who will regularly videochat with the participant and virtually monitor gameplay. The primary aim is to test the hypothesis that after 6 months, children randomized to an exergaming-based physical activity intervention will decrease BMIz compared to a control group. Body fat and ideal health factors (i.e. blood pressure, total cholesterol, fasting glucose) and behaviors (i.e. physical activity, diet, and smoking status) will be investigated as secondary outcomes between baseline and month 6 of the intervention. Summary: Louisiana’s Department of Education (DOE) is implementing new regulations for children in childcare settings in 2015 to comply with national recommendations: 1) physical activity of at least 1 hour/day and 2) screen-time limited to 2 hours/day. The DOE is also providing extensive training and programmatic support to the centers. Together with the Office of the Mayor-President of Baton Rouge, we propose the following aims: 1) to examine the physical activity and screen-time environment of licensed childcare centers before and after the enactment of new state regulations; 2) to examine the physical activity and screen-time behaviors of children enrolled in childcare centers before and after the enactment of new state regulations; and 3) to establish community strategies to improve young children’s health behaviors. 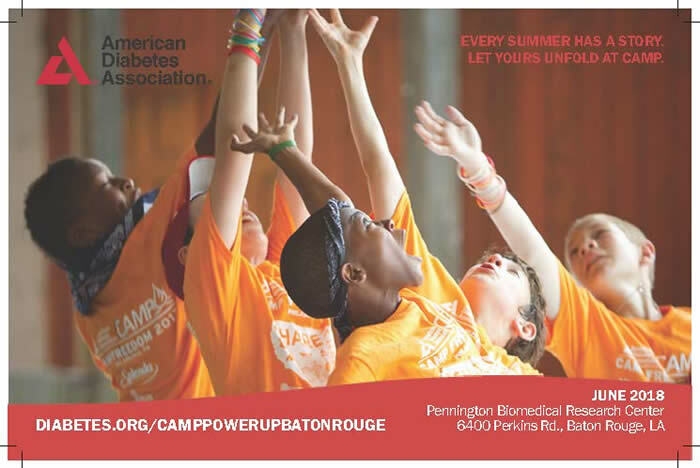 Title: An Interactive Physical Activity Lab Designed to Bring Real World Experiences to the Classroom and Support Healthy Development among Louisiana’s Children and Youth. Co-Principal Investigator: Amanda E. Staiano, Ph.D.
Summary: The purpose of Project I-PAL (Interactive Physical Activity Lab) is to create a classroom space for the Family and Consumer Sciences program at Southeastern Louisiana University that will accommodate digital health technology and fitness equipment developed specifically for children and adolescents. The project serves a dual purpose of providing hands-on training experience for undergraduate students while laying a foundation for collaborative research opportunities. Sandoval P, Staiano AE, Kihm H. The influence of visual and auditory stimuli on intensity of physical activity in school-aged children. The Physical Educator. In Press. Project Team: Leslie Lewis, MPH, RD, Lisa Brochard, Kate Holmes, MPH, Amanda E. Staiano, Ph.D.
Summary: This project is a collaboration with the Louisiana Department of Education and the Louisiana Department of Health and Hospitals and seeks to insure that policies and practices affecting early care and education (ECE) facilities result in improved nutrition, and physical activity; and reduced screen time. Principal Investigator: Denise Wilfley, Ph.D.
Summary: The United States Preventive Services Task Force (USPSTF) recommends clinicians screen children aged 6 years and older for obesity and offer or refer them to intensive counseling and behavioral interventions to improve their weight status. However, few children are receiving the treatment they need and obesity remains a leading public health crisis. We propose a small conference to serve as an intensive meeting of thought-leaders and stakeholders with a shared investment in increasing access to effective, evidence-based childhood obesity treatment. Deliverables will be disseminated to the broader community of childhood obesity stakeholders, including researchers, clinicians, policymakers, and the public, through publication, presentation at national meetings and via targeted webinars, and use of partner organization member networks and advocacy channels. Dr. Staiano serves on the Steering Committee and Planning Committee, along with members of The Obesity Society and the American Academy of Pediatrics. Co-Investigators: Peter T. Katzmarzyk, Ph.D., Robert L. Newton Jr., Ph.D.
Project Manager: Arwen Marker, B.S. To find out more about this study, click here. Project Summary: Klub Kinect was the pediatric pilot study for the Childhood Obesity & Diabetes Research Program at Pennington Biomedical. The purpose of Klub Kinect was to evaluate the feasibility of a 12-week exergaming dance program for adolescent girls. A dance-based exergame was selected because dance physical activity interventions have demonstrated acceptability and enjoyment by adolescent girls, most notably in the Stanford Girls’ health Enrichment Multi-site Studies (GEMS), which observed improved cardiometabolic health following a 2-year dance intervention. We aimed to determine the feasibility of recruiting, enrolling, and following overweight and obese adolescent girls in a 12-week exergaming program versus self-directed care. We also assessed changes in body weight, body fat, visceral adiposity, cardiovascular risk factors, physical activity, peer support, health-related quality of life, and self-efficacy towards exercise. Brief Description: The goal of this Roadmap Scholar Award is to equip the Candidate with the necessary training and pilot data to support and statistically power a competitive R01 application to manipulate sedentary behaviors in order to reduce energy intake, improve eating behaviors, increase physical activity, and reduce excessive weight gain. Summary: The work involved designing a model program to reduce risks for obesity and diabetes in children for implementation in federally-qualified health centers (FQHCs) and associated school-based health clinics. The work was conducted in collaboration with Access Health Louisiana, a FQHC operating in the New Orleans area.